Music sure has a way of bringing people together. And last month, the Army and the Air Force joined in perfect harmony as one of theWest Point Band‘s own appeared as a guest artist with the United States Air Force Band of the Golden West. Oboist Staff Sgt. Natalie Wren was requested to perform with the band’s woodwind quintet, the Golden West Winds, during their Eastern Washington tour. The tour included nine performances reaching a live audience of over 2,400 and a broadcast reach of more than 15,000. Senior Airman Alaina Shaw, Tech. Sgt. Andy Tucker, Airman 1st Class Candy Chang, Staff Sgt. Natalie Wren, Senior Airman Dan Shifren, and Airman 1st Class Emily Hoffner in front of Spokane Public Radio. Staff Sgt. Natalie Wren stands with JROTC students following a performance at Walla Walla University, in Walla Walla, Washington. Oboist Staff Sgt. Natalie Wren shares the West Point story at Walla Walla University. Staff Sgt. Natalie Wren, with Tech. Sgt. Andy Tucker and Airman 1st Class Candy Chang, speaks to the students of the Michael Anderson Elementary School at the Fairchild Air Force Base in Medical Lake, Washington. Staff Sgt. Wren enjoyed having personal conversations with countless veterans and family members, JROTC students, children, and university music majors, and faculty. 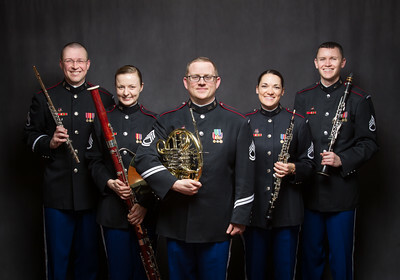 Different from a typical West Point Band experience where 40 or more musicians are on stage at once, chamber groups like this joint-forces ensemble can provide a strong impact in intimate settings. It is hard to describe the traditional depth of the West Point Graduation March. It is a collection of old Army and popular tunes that have lasted for nearly the entire age of the U.S. Military Academy at West Point. The seven songs that are represented in the march are: “Home! 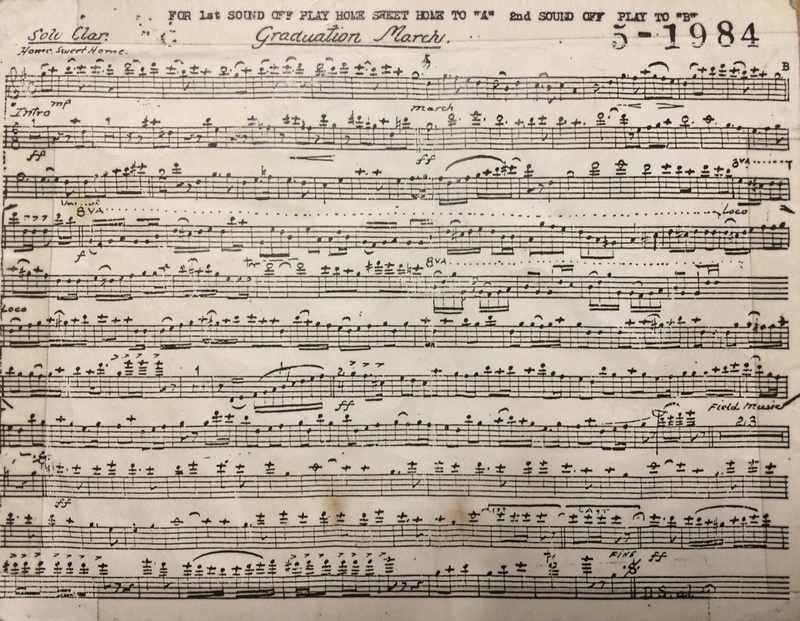 Sweet Home!,” 1823; “100 Days ’til June,” 1938; “Dashing White Sergeant,” 1826; “Wedding March,” 1842; “The Girl I left Behind Me,” 1810; Field Music Bugle Strain and Drum Cadence, unknown but likely 1938; and “Auld Lang Syne,” 1788. It was Lt. Philip Egner (Bandmaster of the West Point Band from 1909 to 1934) that compiled this collection at first. He probably wished to add in the latest marches of the era to the graduation parade, so he compiled all of the old songs into one piece. In 1938, Lt. Col. Francis Resta (Bandmaster 1934-1957), added in his 100th Night Show overture song entitled “100 Days ’til June.” This version of West Point Graduation March is performed today. So, if you really look at dates of the songs, nearly every graduate from West Point since 1802 has heard songs from this march. The one song that glues the entire Long Gray Line is “Auld Lang Syne,” dating to 1788. When Robert Burns penned the poem for “Auld Lang Syne,” it was set to a melody that was already ancient, holding the traditional folk song number #6294 of the Roud Folk Song Index. “Auld Lang Syne” is known best to celebrate the New Year at the stroke of midnight, but it is also sung at funerals, graduations, and as a farewell or ending to other occasions. West Point Graduation March serves a military function that is unmatched when comparing it to other old West Point songs. It is the march performed during the “Sound-off” sequence at the Graduation Parade. Again, nearly every single graduating Cadet has had to stand at parade rest while the band performs this march, trooping the line in front of the U.S. Corps of Cadets. The drum major brings instruments up and starts the slow first phrase of “Home! Sweet, Home!” The band then plays a rousing introduction to Lt. Col. Francis Resta’s 1938 100th Night Show opener “100 Days ’til June.” The band promptly steps off to march in front of the Corps of Cadets and on display for all of the parents and friends visiting West Point to see graduation events. The medley proceeds with “Dashing White Sergeant,” Mendelssohn’s “Wedding March,” and “The Girl I Left Behind Me.” As the band nears the end of the Corps, the drum major gives a counter-column signal to turn the band around. 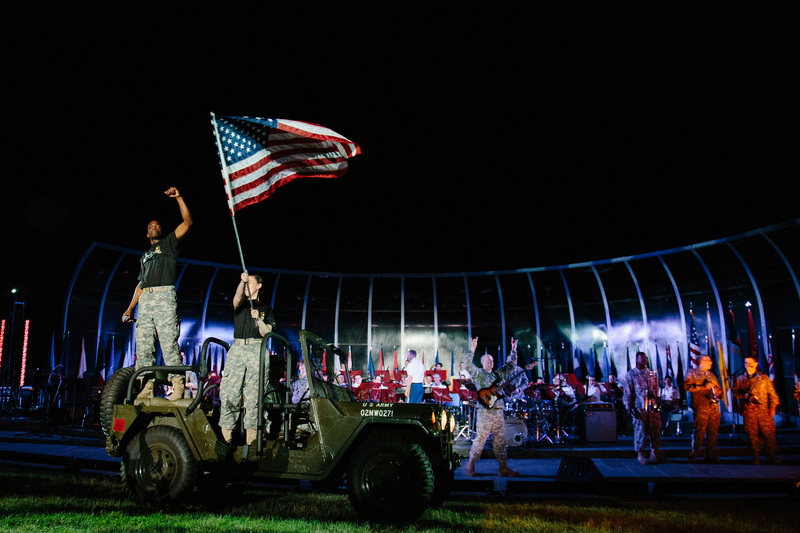 Here the field music group, the Hellcats, performs an original bugle strain and the drums continue as the band completes the counter-column. Once the counter-column is completed, the drum major gives a sharp “forward march” with the mace, and the band steps off in full step to “Auld Lang Syne.” The band proceeds to march back to its original position on the field. This march completes with the full-strain of “Home! Sweet, Home!” to finish the sound-off sequence. 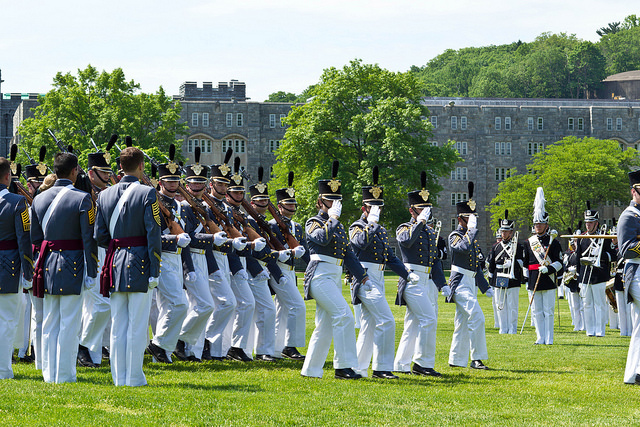 Here are some historical tidbits on each song in the West Point Graduation March. “Home! Sweet Home!” (1823) by Sir Henry Rowley Bishop, Lyrics by John Howard Payne – This song was reputedly banned from being played in Union Army camps during the American Civil War for being too redolent of hearth and home so as likely to incite desertion. “100 Days ’til June” (1938) by Lt. Col. Francis E. Resta, West Point Bandmaster and Teacher of Music – This song served as the overture to the 100th Night Show in 1938. The show marks 100 days prior to graduation and encompasses the firstie (senior) class’ experience of cadet life at West Point. This song remains as a traditional work performed on modern 100th night shows. 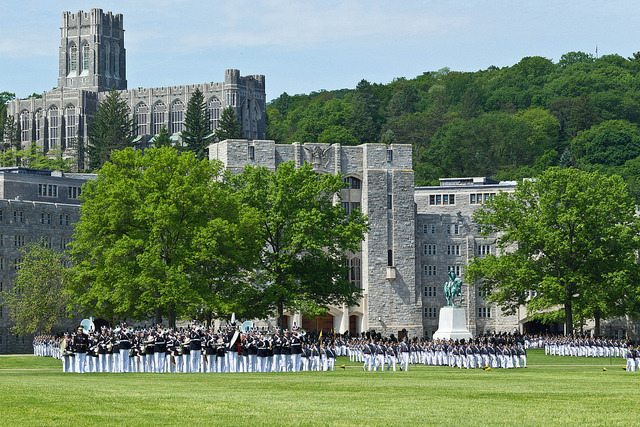 West Point graduations used to be held in June, but now graduations occur at the end of May. “Wedding March” (1842) by Felix Mendelssohn – West Point Cadets are not allowed to be married while attending the Academy. 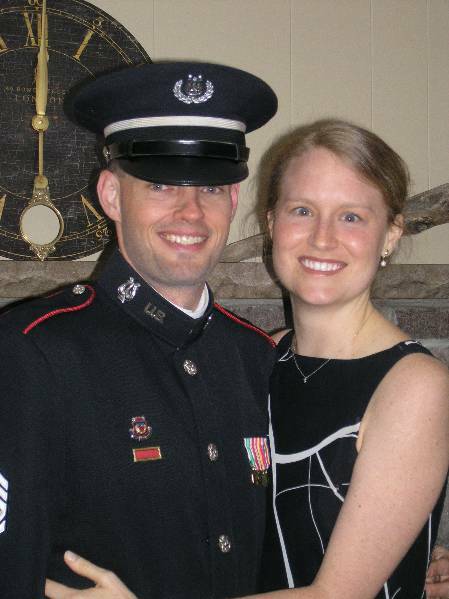 After West Point graduation, a flood of weddings occur on and off post. “The Girl I Left Behind Me” (1810) – 1810 is the earliest known version of this melody. U.S. Army Soldiers adopted it after hearing a British prisoner singing the song during the War of 1812. The song was used by the Army as a marching tune throughout the 19th century. Field Music Bugle Strain and Drum Cadence – The Hellcats perform, allowing the marching band and Hellcats to counter-march before those chosen to serve. “Auld Lang Syne” (1788) – In 1788, Robert Burns penned this well-known poem and it was set to the melody of a traditional folk song known as #6294 of the Roud Folk Song Index. The traditional use of this song is to celebrate the New Year at the stroke of midnight. It is also sung at funerals, graduations, and as a farewell or ending to other occasions. The West Point Graduation Ceremony receives the most media attention of all graduation events as usually a prominent guest speaker comes to speak. 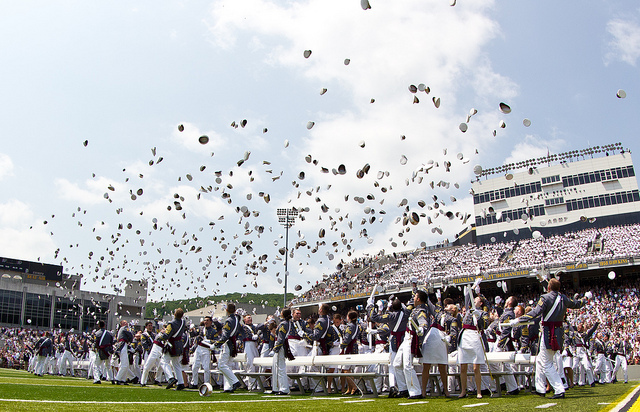 The words the graduating class always cherishes come from the Cadet First Captain at the end of the ceremony: “Graduating Class, Dismissed!” Here, the class throws their hats in the air for a young child to catch or pick up as a souvenir. The West Point Band marks this moment by performing the West Point Graduation March. 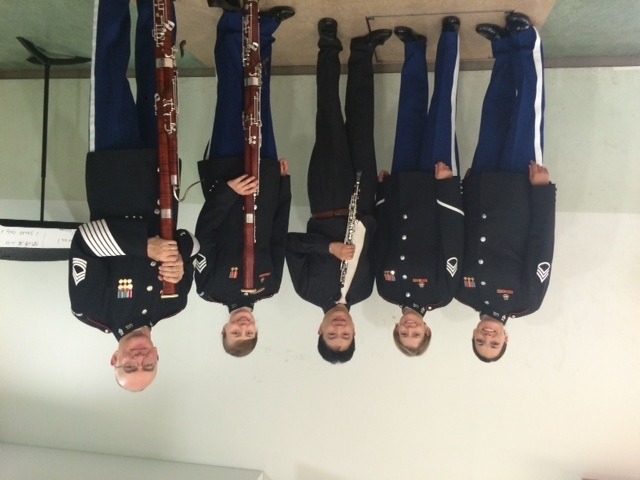 Each year the West Point Band is proud to provide musical support for the Ellis Island Medal of Honor ceremony. Sponsored by the National Ethnic Coalition Organization, these awards are presented annually to American citizens who have distinguished themselves within their own ethnic groups while exemplifying the values of the American way of life. 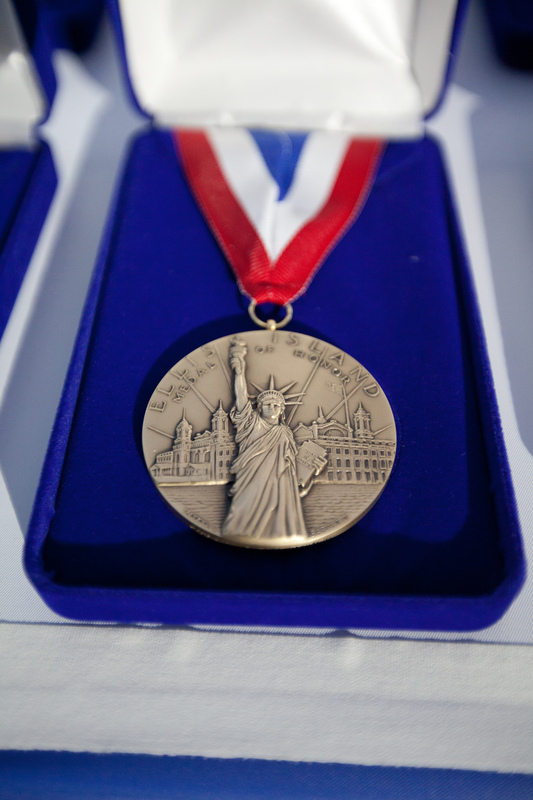 Past Medalists include six U.S. Presidents; one foreign President; Nobel Prize winners and leaders of industry, education, the arts, sports and government; and everyday Americans who have made freedom, liberty, and compassion a part of their life’s work. This year marks a special significance for the West Point Band, as we will honor one of our former members, Deric Milligan, who will receive the Ellis Island Medal of Honor at this year’s ceremony on May 9 at Ellis Island. During his time in the band, Deric served as a Hellcat bugler, sounding Taps at hundreds of military funerals and performing in a multitude of concerts. In addition to his ceremonial duties, he led the Army football production staff. However, it is Deric’s dedication and talent in another area that earns him this distinguished award. This weekend he will be recognized as co-founder and Executive Director of Inheritance of Hope, a nonprofit charity dedicated to serve families with terminally ill parents. Midway through Deric’s tenure with the band, his life took a turn when his wife Kristen was diagnosed with a rare terminal liver cancer in 2003. 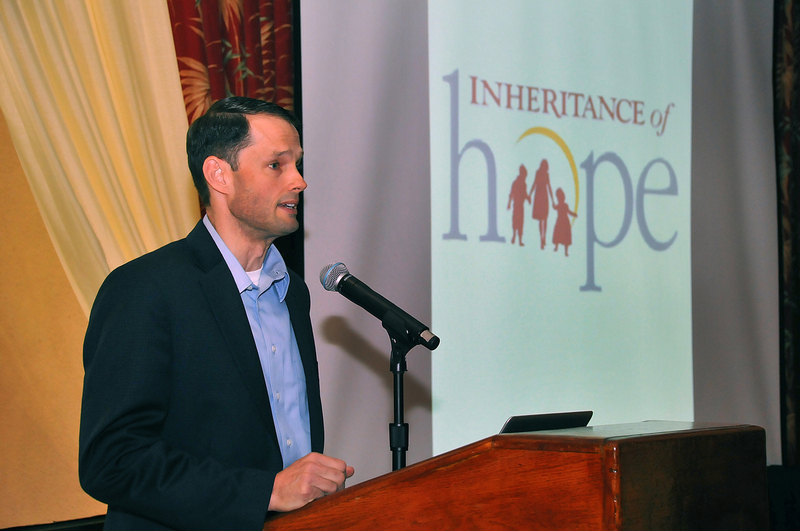 After several years of coping with the challenges of raising their three young children while battling a terminal illness, he and Kristen founded Inheritance of Hope together, with the mission to inspire hope in young families who are facing the loss of a parent. The charity achieves its mission by providing life-changing Legacy Retreats, Legacy Scholarships, outstanding resources, and individual and group ongoing support – spiritually, emotionally, and financially. Deric Milligan and his wife, Kristen, taken when he was in the Hellcats. Former West Point Band trumpeter Eric Miller serves as Director of Marketing and Communications for Inheritance of Hope. A long-time family friend of Deric Milligan, Eric was invested early on in the organization, doing graphic design work and other marketing projects as needed. When Eric left the band in 2014, Deric made him a full-time job offer he couldn’t refuse, and Eric has enjoyed working for Inheritance of Hope ever since. For more information, go to www.inheritanceofhope.org and to watch the video, Kristen Milligan’s Legacy-Our Story in 4 Minutes, click here. If you ever ask an aspiring classical musician what he or she wants to do, the overwhelming answer is to play in a full time orchestra. The orchestra has amazing versatility, with its repertoire spanning over five centuries. The concert band too enjoys a wide spectrum of music, from Gustav Holst to David Maslanka. But if you were to ask a professional classical musician the same question, more often than not the answer is playing chamber music. Playing chamber music, usually within a small ensemble ranging from three to twelve players, challenges musicians to really take accountability for the interpretation and performance of a work. When there are only, let’s say five musicians on stage, there is no conductor there to maintain the tempo, influence balance, or guide the musical interpretation. So the musicians must take on the responsibility of leading, following, actively listening, and reacting to the music around them. It is both nerve racking and exhilarating. The many classical chamber ensembles that comprise the West Point Concert Band include two brass quintets, tuba quartet, two woodwind quintets, steel drum band, and the list goes on. As a member of the Academy Wind Quintet (AWQ), I am proud to work with incredible musicians who challenge and inspire me to be a better musician. On January 23rd, the AWQ had the privilege of performing for 1,200 students at the Hommocks Middle School in Mamaroneck, New York. We performed a variety of music including American folk tunes, marches, several movements from Cuban-American composer Paquito d’Rivera’s Aires Tropicales, and a few movements from Maurice Ravel’s Le Tombeau de Couperin, a piece very near and dear to my heart. 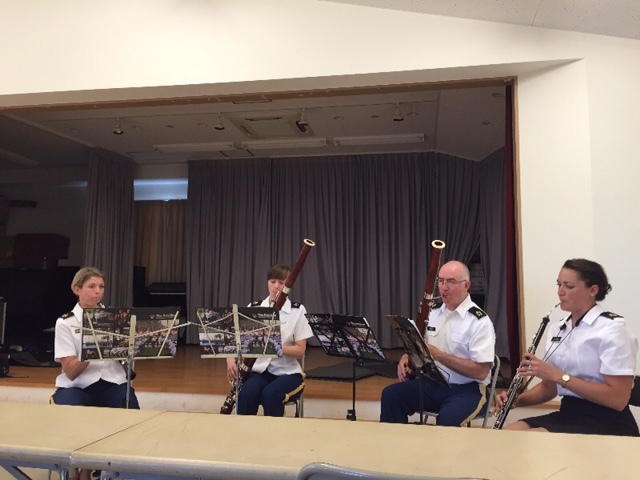 The kids were great; they had plenty of questions for us pertaining to our instruments, to the West Point Band, and to the cadets at the Academy. They seemed to really enjoy the music that they heard, particularly the Latin dances heard in Aires and of course the flashy piccolo solo from our national march, The Stars and Stripes Forever. Their enthusiasm was yet another example of the importance of concert music, and how live music enables people to tap into their imaginations, broaden their horizons, and participate in a collective experience. By the end of our second performance in the afternoon, I think we were all ready for a nap. But tired or not, the show goes on! 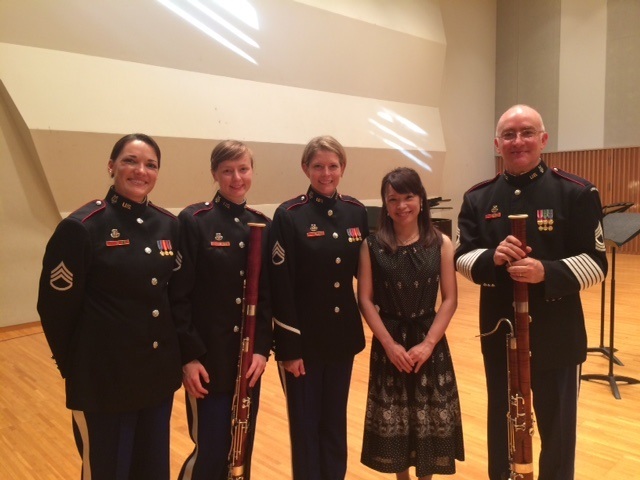 The Academy Wind Quintet recently returned from our recital tour in Ohio and Kentucky, with stops at the Universities of Cincinnati, Louisville, and Kentucky, as well as the VA hospitals in Louisville and Cincinnati. We also made appearances on public radio stations WUOL of Louisville and WVXU of Cincinnati, as well as a television appearance on Louisville’s local Fox television station. To say it was exciting would be a massive understatement. 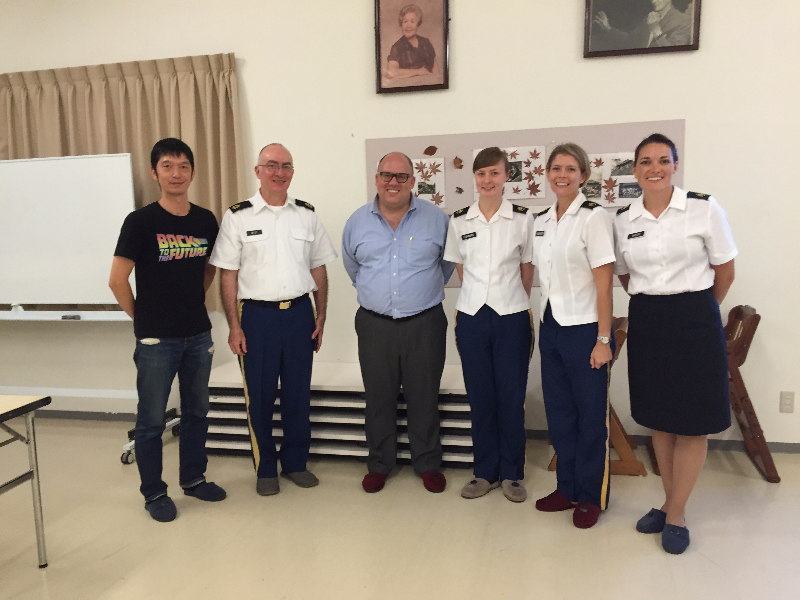 Serving my country by playing great chamber music with fantastic musicians? Yes, please!